RTD_TCR385:This equation is for Temperature Coefficient of Resistance (TCR) 0.00385Ω/Ω/°C . RTD_TCR392:This equation is for Temperature Coefficient of Resistance (TCR) 0.00392Ω/Ω/°C . 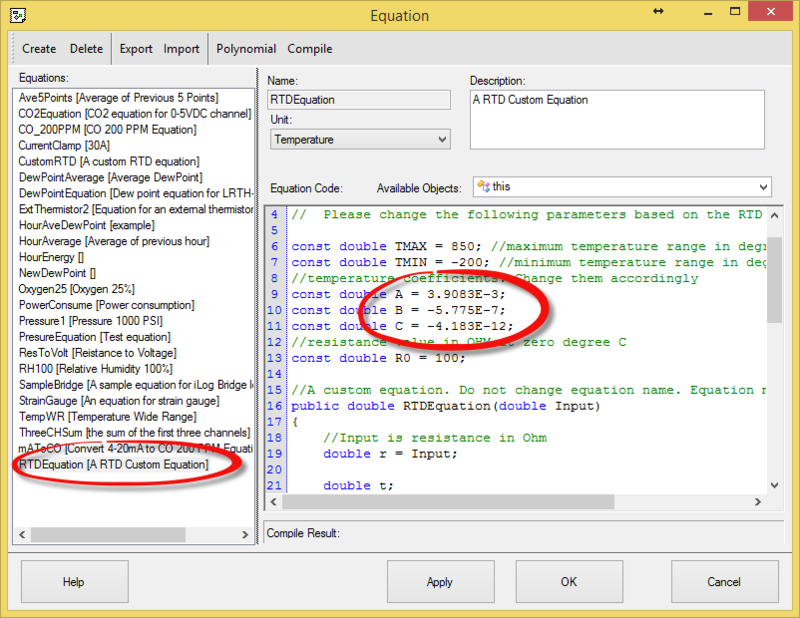 If your RTD’s temperature coefficients are different from either of the above, you should use a custom equation included in SiteView software. The name of the equation is called “RTDEquation”. 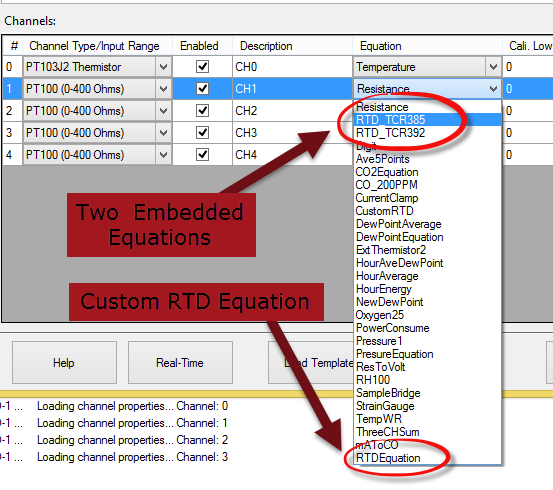 If you are in the Configuration dialog of the RTD data logger, you can choose one of the above three equations from the pull-down list.